Alexandre joined the EU Policy Lab in 2016. His current work is centred on participatory and distributed science and technology models, and collaborative and transdisciplinary frameworks for policy advice. 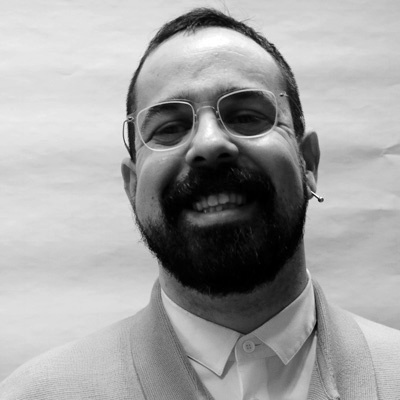 His main research and publication fields range from everyday life studies and qualitative social analysis to action research and co-creation in technological contexts. He was previously Researcher at CETCOPRA of Université Paris 1 / Panthéon-Sorbonne; Associate Researcher at Vitruvius Fab Lab, and at the Centre for Research and Studies in Sociology as MC of COST Action ‘Investigating Cultural Sustainability’, both at ISCTE-IUL / University Institute of Lisbon; Visiting Researcher at the Department of STS of Rensselaer Polytechnic Institute; and Associate Researcher and Consultant in participatory and community-based CSO/NGO projects at national and international levels. He holds a BA (Hons) in Sociology from ISCTE-IUL and a DEA/Master in Philosophy from Université Paris 1.